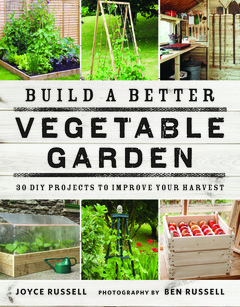 I was asked if I would like to review this new book by Joyce Russell: Build a Better Vegetable Garden, 30 DIY projects to improve your harvest. I was very pleased to receive it as it really is a rather fab book. There is a great picture contents list at the front of the book so that you can see each of the projects quite clearly. Then there is a section on buying tools that is really useful. There are the basic hand tools and then some additional power tools and holding aids explained. There are also the invaluable safety tips. You are also talked through the different materials you will need to choose when making the projects. Although quite brief, if you are a total novice (like I am) then the explanation of different types of timber is really useful. It is worth reading the introductory pages as they really do give a lot of detailed good advice. For each of the projects there is a symbol system that gives you the level of difficulty and an approximate amount of hours it will take to complete. There is also a good clear list of what you need in materials and in tools. I am currently obsessing about the state of my raised beds so I found the raised bed projects very interesting (three difficulty stars). The lean-to polyframe also looks doable for me at four difficulty stars out of ten and looks very effective. The symbol system works well as it helps me consider carefully where I might make a start. Three stars looks possible but the Growing Bag Cradle at five difficulty stars might not be first on my list to attempt. Some of the projects are practical, some are more decorative and some are a bit of both. 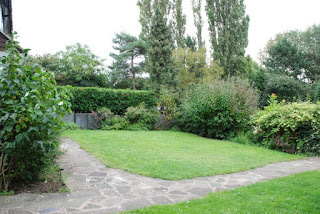 There are also tips on how to use the projects once complete and what is good to plant in them. The photographs by Ben Russell show us what we need to see and displays the projects well. There is imagination and style with the photographs that lift them from being what could have otherwise been a utilitarian step by step guide. If I have one suggestion to improve the book it would be that the nice picture contents pages also included the difficulty stars, it would just help give a bit more information as you are browsing the projects. Irrespective of this I can happily recommend this book. 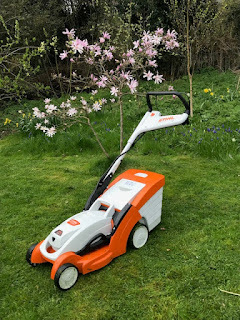 I am sure it would be of interest to anyone setting up a vegetable plot and also to someone like myself who needs to revamp and improve their plot. With a nod to the calendar at the time of posting this, not only is this a good gift to buy for someone for christmas, it is a good gift to buy for yourself too. This book looks right up my street, this lady featured in the book has a feature in a veg growing magazine I read and some of theses projects have been featured.... I like tinkering in my garden, and this book is going on Santas buy me list.